This is the second edition of a well-received book that has been revised and updated to reflect the state of the art in laser and light source technology. 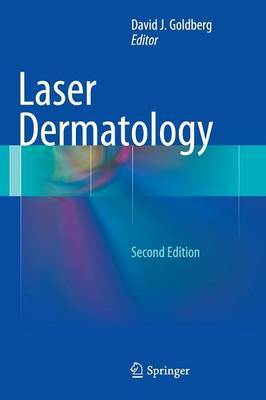 After an initial chapter describing the latest understanding of laser physics and safety, subsequent chapters consider laser treatment of vascular lesions, laser treatment of pigmented lesions and tattoos, laser removal of unwanted hair, ablative and non-ablative fractional resurfacing, and use of laser treatment for medical purposes. The book is extremely practical and reader friendly. All chapters are very well illustrated, include quick and clear bullet points, and feature a homogeneous structure covering core concepts, currently available technologies, indications and contraindications, an example of a consent form, and the author's personal treatment approaches. The authors are without exception world experts in the field from North America or Europe.